As we wrap up our Summer of Screenwriting program, we'll be sending out some tips on what to do next once you've written your script. Topics on editing, submitting your script, how it works to be a screenwriter in hollywood, and ways to improve your writing. Remember, you still have until September 30th to submit your script to our contest. We hope you'll join us for our Wrap-Up Live Stream on September 1st at 7 pm EDT. Bring your questions, comments, and we'll talk a bit about our experiences and tips for going forward. One of our absolute favorites! A must-read for any aspiring screenwriter. "This ultimate insider's guide reveals the secrets that none dare admit, told by a show biz veteran who's proven that you can sell your script if you can save the cat!" "Advice On Writing For Animation "
An animation is a dance. It is an art of motion, captured through a filmmaking lens. The greatest animations combine this wordless storytelling of dance with the cinematic language of film. Understanding this is the first step in becoming a great animator. Writing for animation is, at its essence, similar to writing for live action. Plot, characters, tone, pacing, perspective, and all the other concepts taught in scriptwriting are still crucial. Yet animation is not a genre, it is a medium. So we must take a step back and think about how we tell our story. There may be times in your script that you wish you write scenes in which characters interact with each other via an electronic medium, such as a television, radio, telephone or computer. In an age where electronic communication is taking over one-to-one interaction this can help add an important touch of realism to your screenplay. You should be careful not to overdo electronic communication in your script though as it can slow the pace of the story down and feel rather action-less. Instead it should be used sparingly when it furthers the story or makes sense that the characters should communicate in an electronic fashion. 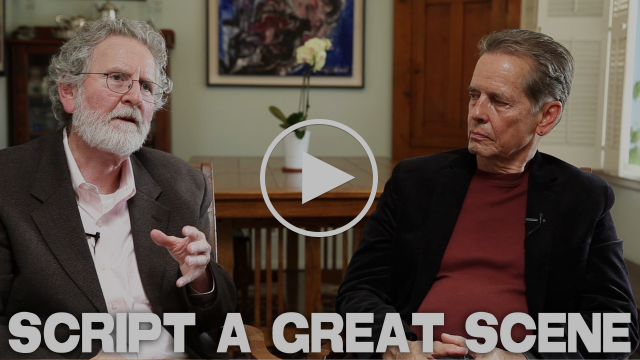 Screenwriter Michael Hauge discusses writing a good scene. Some great pointers if you're stuck with writer's block or if you are editing and determining what scenes should be cut. A medical engineer and an astronaut work together to survive after a catastrophe destroys their shuttle and leaves them adrift in orbit. Won 7 Oscars, nominated for Best Picture.